Lebowski Fest, the annual celebration of all things related to the Coen Brother's classic "The Big Lebowski"-slash-bowling-dorkfest, comes to New York this weekend. And where is the crowning moment of the event, the bowlarama, being held? At perhaps the most unlikely place in the city (that it would still be possible to legally bowl at): Lucky Strike Lanes. The Gutter in Williamsburg would have made sense (though nobody would have noticed if anybody dressed as characters from the movie). Melody Lanes in Sunset Park sort of looks like the alley in the movie, but it's a schlep. The alley in Port Authority would have had the right dirt-ball charm. Even uber-crowded Union Square den of glitter Bowlmor Lanes would have been better. 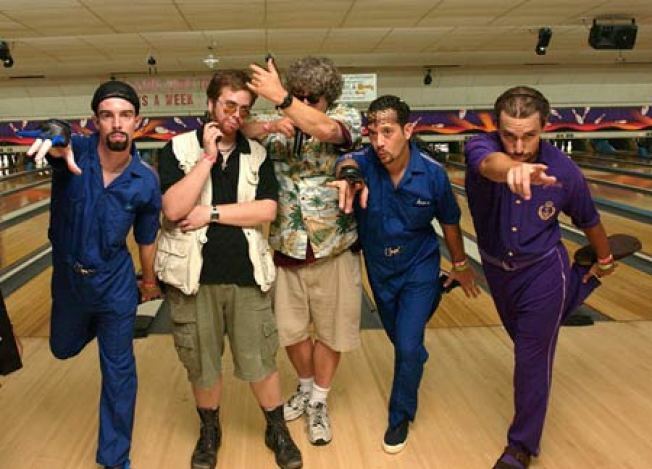 Saturday, Lebowski-ites will convene at Irving Plaza for a night of Dude-inspired music, including a live performance by Creedence Clearwater Revival Revival (CCRR) and a late-night screening. But no Eagles. Sunday the same group of obsessives descend on the aforementioned Lucky Strike, and then head to the free after party at Beauty Bar. Appropriately, the entire weekend is sponsored by Kaluha. The Dude abides, and so will you after six Caucasians.